LH351D 5000K ,LH351B 3000K .GB . price drop. 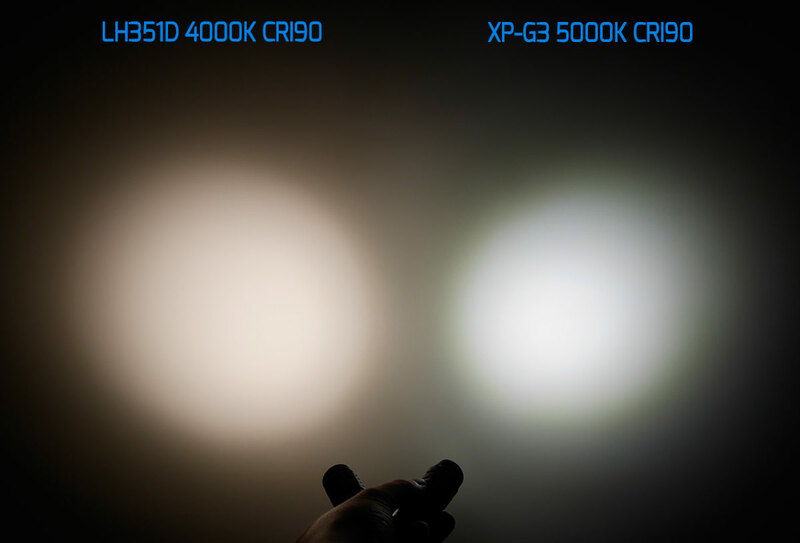 According last info 351D 5000K 90cri will be available at the end of November. 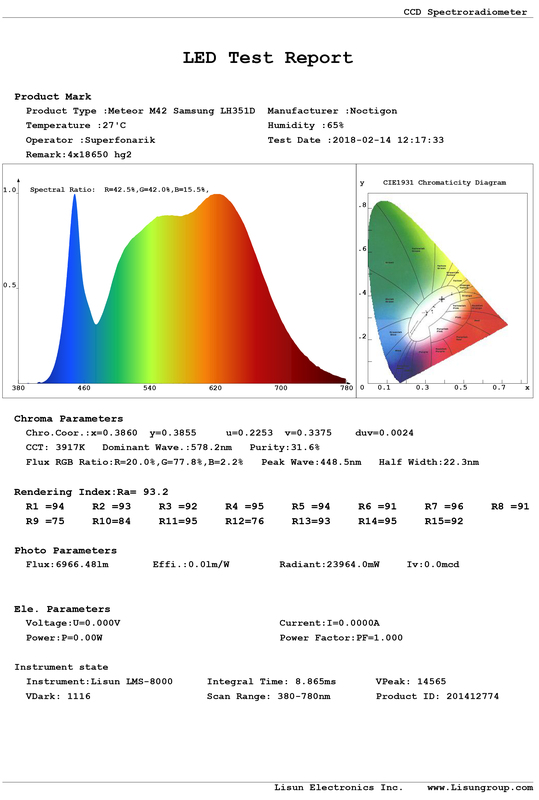 My sectrophotometer said previous batch of 351D 4000K 90cri was T=4080K Duv=0.0027 . New batch T=3930 Duv=0.004 . 351D 4000K 90cri Sold out. All prices are include PP fee. +15)Chatika vas Paus .13pcs LH351*D* 4000k 90cri and 5pcs 351*B* 3000k 90cri. 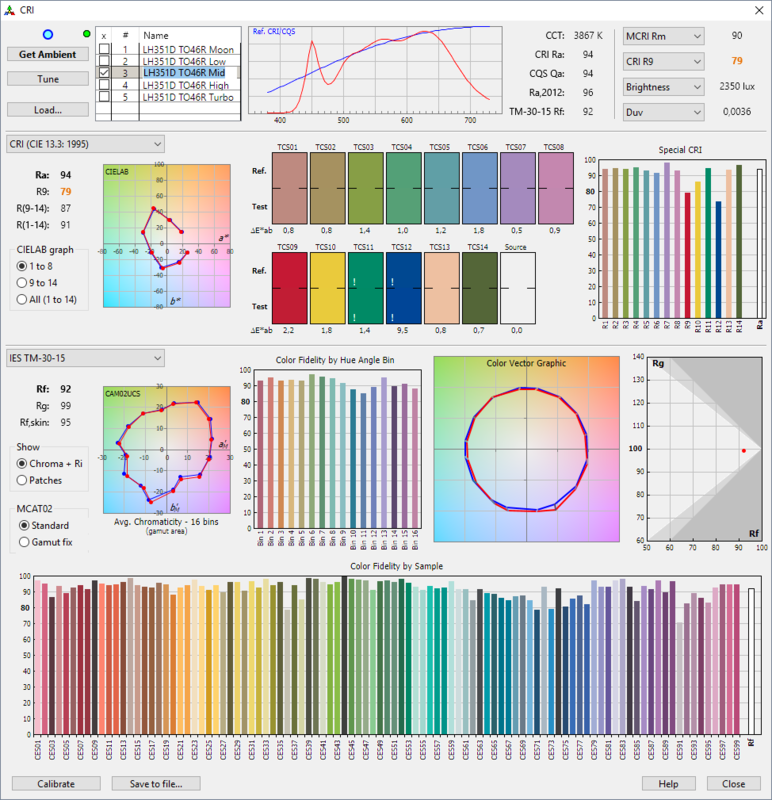 4000K 90cri (and hicri 3000K , hicri 6000K). But it is posible to order whole reel 800pcs if it will be interesting for a sufficient number of people. Upd 23.04 351B are received. UPD 17.04 PM are sent to all who buy 351D only. 351B will arrive next week. Upd 12.04 All 351D are reserved. What is next? First small bunch is sold out . I’ll order more 351 in a week(+3 days to get it). The price is the same 1.6$/pcs + 5$ registered post ( + PP fee of course). So please express your interest in this thread, I’ll make a list. 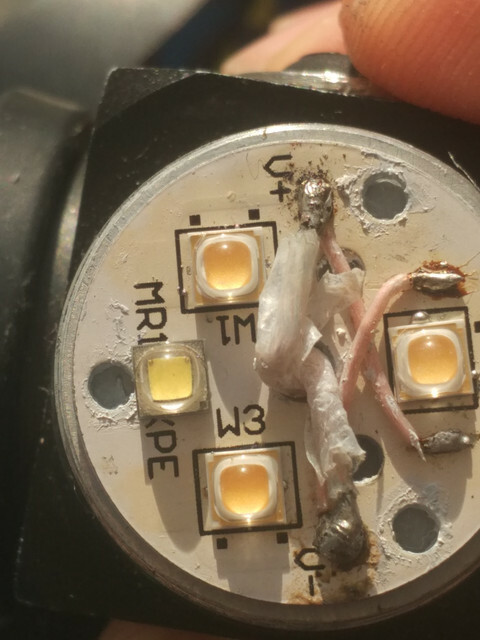 These leds were temorarily out of stock. Now I have small bunch of them 49 pcs to study interest. All sold out. As I already said 1.6$/pcs. 5$ registred post. It is new 3535 Samsung led with Max current 3A. It can work with carclo triple optics. Could it be interesting for someone? Guys from superfonarik.ru helps with measurements. The last 2 LED also very cheap ~0.5$ and 1$ respectively. According to this sheet, the Q6 flux rank emitters only do 764 lumens at 3A. That’s only 40 lumens less than the equivalent 219C according to this test. How’s the tint? Reviewer for ThorFire, Olight, Sofirn, and others. "Don't quote me on that." I bought a couple of pieces. Exact bin was F2T7Q2. I found it less greenish than 219c 4000, but I plan to measure it in sphere to be more strict. Let us know if you decide to grab a nice bunch of them, pricing and shipping costs. The 90CRI 4000K LG led that Jaxman used recently was very green and caused an ugly tint shift in the various optics (link to maukka’s test), and I always thought that Samsung and LG were very similar. F2T7Q2 bin. T7 refers to the chromaticity coordinates, about over if slightly below the blackbody locus, and a tad less than 4000K. Shouldn't look greenish at all. Now I have small bunch of them 49pcs to study interest. As I already said 1.6$/pcs. 5$ registred post. Write PM if you are interested. That T7 color bin looks like it sits very close to cree’s 5A2, which has been my favorite tint so far, I’ll definitely have to try some of these. maukka, are you going to test these? Received my 3x LH351D today. Installed them inside a Wuben TO46R. They’re really nice. No tint shift to speak of in the clear triple optics. A simple filter will perfect the tint on most modes if you need to be on the BBL. On higher currents it’s already superb. And what’s amazing. It offers Nichia like beam quality but reaches output comparable to the XP-G3. I measured equal lumens before and after the swap. Although one of the original XP-G3s was dedomed so didn’t probably live to its true potential. I received my 6LH251’s yesterday.No time to do anything at the moment.Thanks AEDe. Is it the same output with regulated driver or with FET? Thanks Maukka!! I appreciate it. They are XP-L sized. 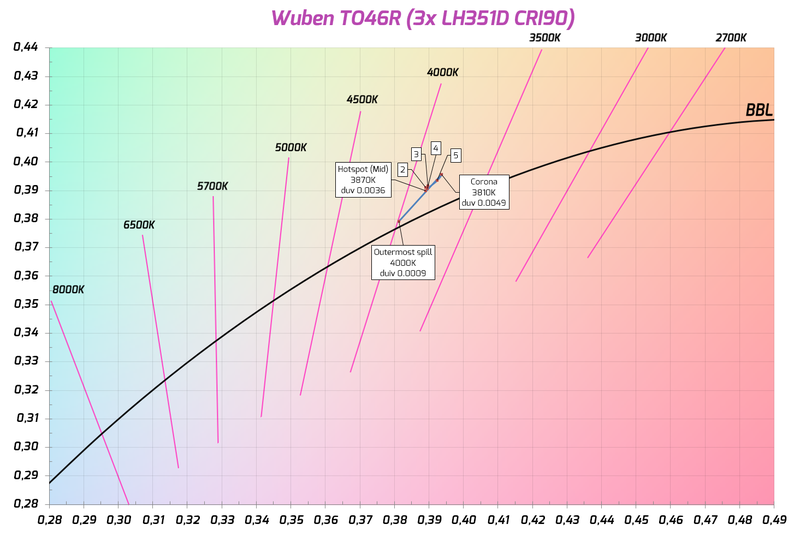 I think they should be compared to the XP-L2 90CRI 4000K 2-Step, which is very efficient, but has a terrible tint (Duv 0.6 in the low/mid modes with reflector – SC64c). So this LED is indeed much better, similar to the Nichia 219C 4000K R9050 (which has a somewhat yellow tint though). At high currents it is probably noticeably brighter than the 219C R9050. 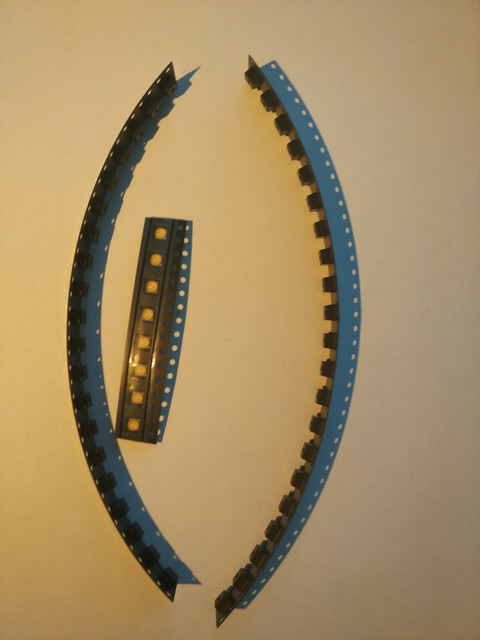 EDIT: I just checked the datasheet. 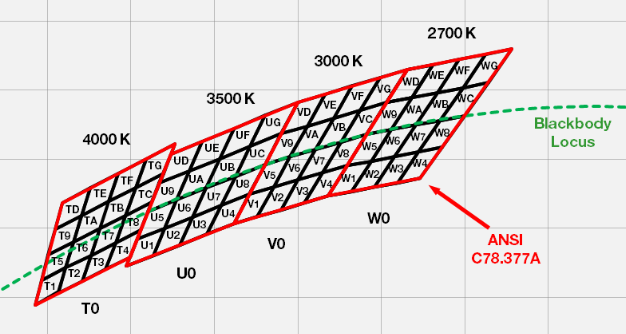 At 3A the Vf is only 3.28V and the thermal resistance is 2.2°C/W. So it’s actually quite compareable to other XP-L sized LEDs. 765-810lm @3A & 85°C. 77-82lm/W, so definitely worse than the XP-L2 in that regard, but only because of the used Bin. 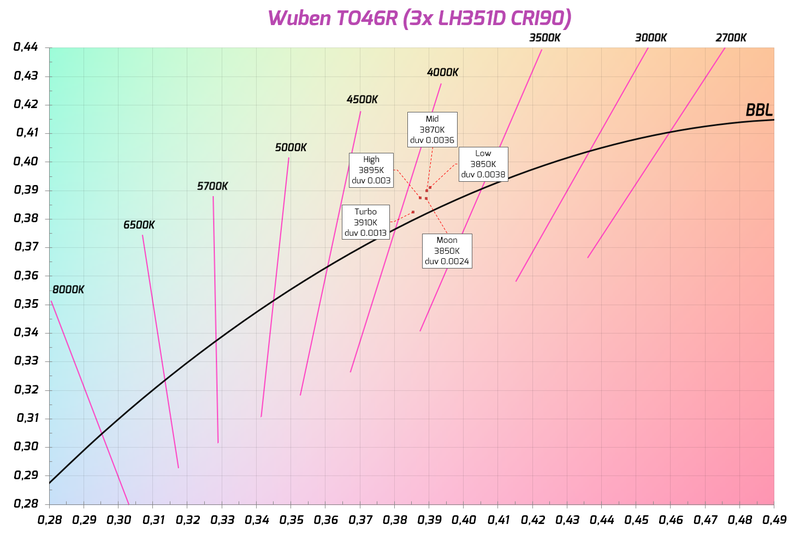 EDIT2: I just compared these measurements to those of the Nichia 219C 4000K R9050 403. The Samsung LED has a higher TM-30-15 Rf & Rg, a higher R9-value and a more balanced spectrum. The Duv ist very similar (unfortunately…). How many of them still available? I may order a bunch next week. Played with Lee Zircon minus green filters. The results are promising and visually the light is gorgeous. It really makes every color pop, even over saturate (Rg 102). I think I’ll stick with the 804. Thanks, maukka for the tests. I’ll send these 23pcs. Then I’ll order more 351 in a week(+3 days to get it). Thanks for the measurements! I have a sheet of 804 at home, as soon as these arrive I’ll make good use of it. By the way, does anybody know where to get some good optical glue? I’m interested in a few myself. Great, but maybe you shouldn’t publicly post the contents of PMs. Also thank you for offering these in low quantities for such low prices! Also than you for offering these in low quantities for such low prices! So if someone will be interested in something else (not 351D) it is posible to order too. Well, still, you’re doing the work ;). Thats interesting. 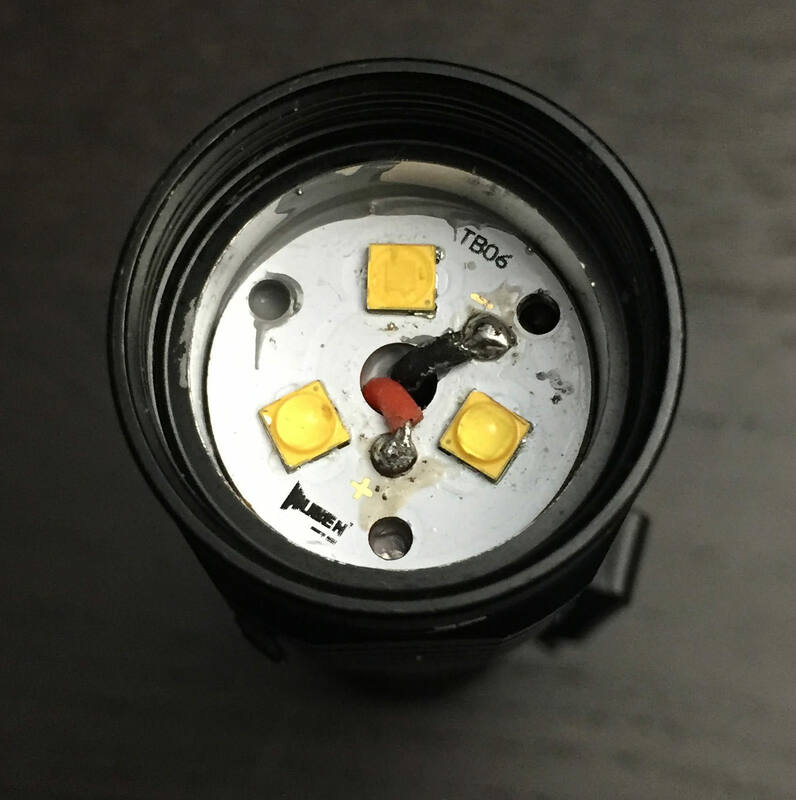 Is there a version of this LED with a smaller (1mm^2) die, like the Cree XP-E and Nichia NCSL219B? There is also 351C max current 2A. But I dont know chip dimensions. I’m not sure. The die seems a bit bigger compared to that of the XP-E2, but everything else (max current etc.) is the same. Unfortunately they only have the 90CRI version with ~3000K. I just picked mine up at the post office. If time allows I will check one in a flashlight. I’m very curious about the beam profile! Thanks again for making them available AEDe!